So I’ve been thinking about why it has taken me so long to post an update. I’d like to have the excuse “I’ve been busy”; but based on my idea of “busy” I’ve just been “normal to relaxed”. I’m starting to think I’ve been subconsciously avoiding posting because I’m tired of thinking about how I’m doing and I’ve been working hard at distracting myself. You know, that whole “watched pot never boils” thing. After torturing myself with constant self-evaluation, I’ve decided instead to immerse myself back into routines and ignore how I feel. And I think it’s worked (for the most part)! Earlier this month I went in for “lymphatic massage therapy” to try to reduce the persistant swelling along my jaw and under my chin. I was literally swaddled in warm sheets on a table (I’m not complaining, just painting the full picture), while an aesthetician “tapped” various lymph nodes to “stimulate their valves to open.” She then ran an ultra sound wand over the swollen area, which was a bit painful, but I was too relaxed to speak up about. I left feeling “tingly” – and when I asked what I could expect she said I could expect to feel great, no possible side effects, only reduced swelling and unicorns jumping over rainbows (those are my own words). That afternoon I went to see my endocrinologist who recognized that I was (probably still am) very hypothyroid. So bad that she didn’t want to take a blood sample to check for sure or how bad (probably b/c she didn’t want to give me more discouraging news). She also explained some of the bizarre symptoms I had been having while my body was shutting down. She suggested I come back in early April….which was a not-so-subtle hint that it would take that long to really see/feel improvement worth seeing her about. I was also terribly frustrated that, despite the cheerful and optimistic forecast of the aesthetician, my swelling post-massage seemed worse! So I drowned my sorrows in the hot tub that night and decided I would put my symptoms out of my mind or I would drive myself crazy (or crazier). I then spent the next two weeks juggling working at my consulting job part-time and being a Mom full-time. And while I haven’t been looking, things HAVE gotten better. My tongue is still swollen but less so (as confirmed by my dentist). I can taste some things, and instead of “battery” everything now tastes like “Sweet’N Low”. The swelling has gone done under my chin and jaw; and just yesterday my dissolvable stitches, which were supposed to dissolve “within 2 weeks”, finally came out leaving behind a mound of scar tissue where they were chronically irritating my skin for over 2 months. I’m hopeful things will continue to improve as I’m not watching. I’m also anxious to get back in the gym, but haven’t done so b/c of all the horrifying things I’ve read about exercising while hypothyroid (not a good idea). So that is where I am, gazing out the window trying to enjoy the journey instead of asking how much longer until I get there….well, trying at least. I guess in all the hub bub of Christmas and New Year’s (which for us was the same weekend) I forgot to update the blog (apologies to those seeking an update). Let’s see…. The week of Christmas I was home sleeping in our guest room while trying to maintain “limited contact” with the kids. This posed an interesting challenge. We “played” a lot of exciting games such as, “let’s watch a movie from opposite sides of the family room!”, “let’s go for a walk 6 feet apart!”, “I’m going to take pictures of you building a pretzel cabin from across the kitchen!”, and “what’s open on Dec. 25th?” We also were thankful for having a few play dates with school friends (who could actually play next to them). The kids took postponing Santa’s visit really well, but the big drawback was having them out of school for 2 weeks without their new toys to play with (and a Mom with a restraining order against them). On Fri. Dec. 30th, 17 days after my radioactive iodine treatment (and a day after the isotopes “quarter life”), I declared myself “safe”, went to a neighbor’s cocktail party, and slept in my own bed for the first time in over 2.5 weeks. Rick’s Mom (Grandma C.) also arrived that afternoon and Santa finally came to our house! The next morning I had encouraged the kids to come into our room for snuggles in bed (which I had been anticipating for months), but instead they headed straight for the living room to count presents (I did get my snuggles later). New Year’s Eve felt like any other “Christmas” morning with feverish paper tearing, squeals of delight, and lots of calorie-laden food. We then enjoyed the long “Christmas”/New Year’s weekend before Grandma C. headed back to the midwest and the kids headed back to school. And so last Thurs. I found myself back at Dr. Facts’ office for my third “post op visit”. At this point I was 6 weeks from his surgery and clearly back where I expected to be after 1-2 weeks. He agreed that I was healing “much slower than average” and wasn’t sure how long things would take to resolve. He referred me to a facial aesthetician for lymphatic massage (um…you had me at “massage”). Tomorrow morning I go in for the lymphatic therapy and then in the afternoon have an appt. with my endo to check-in re: how I’m doing and get blood work done to check my TSH and T4 levels. A couple days after the radiation therapy I started taking two hormones (T4 & T3) and over the past three weeks have weaned myself off of the T3. The biggest impact this has had on my life is going from two fasting periods a day down to one shorter period in the morning only. I would probably have celebrated this milestone with a bowl of evening ice cream if ice cream didn’t taste like licking a frozen battery (though admittedly this hasn’t stopped me from eating it). It has been 10 days since my radiation treatment and I am now back at home implementing “radiation precautions”. The radiation has been a lot harder on me than I expected; apparently most people don’t have any noticeable effects from it. I, on the other hand, have been lucky to be hit with all the potential side effect except one (dry mouth). In addition to the residual pain, swelling, and undissolved stitches I’m still experiencing from my second surgery, the radiation brought initial nausea, painful salivary glands, increased swelling in my neck, swelling of my tongue, and a complete loss of taste except for a disgusting “metal” flavor. I’m told these side effects are usually temporary but can last weeks to months or longer to resolve. But on the positive side, I had my post-radiation whole body scan this past Wed. (8 days after my radiation) and it showed uptake by the two cancerous lymph nodes but no detectable uptake anywhere else in my body. What this means is that I had successfully flushed any non-uptaken iodine out of my system and I no longer have to worry about contaminating anything I touch with radioactive iodine (yay!). However, the iodine which was uptake by the two lymph nodes in my neck is still emitting energy, so I still need to limit my time close to others and maximize my distance from them. In order to know just how far I could be from other people without harming them, I had the technicians Geiger check me (since I purposely scheduled my appt. 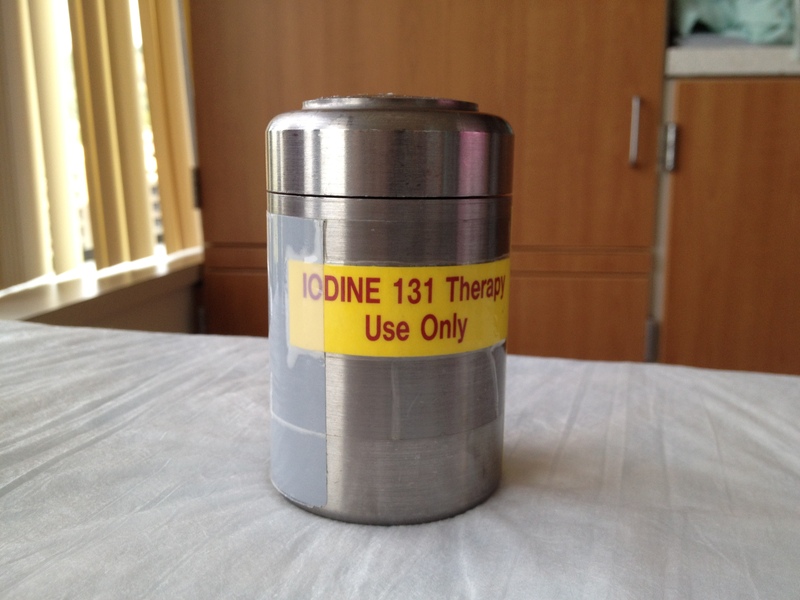 for that afternoon knowing that the half-life for iodine 131 is 8.1 days). I’ve read/heard that getting a Geiger re-check isn’t standard hospital protocol, and even when I requested to have it done when I scheduled my scan I was told that they don’t usually do it and couldn’t recall ever have….I can only guess because they are lazy and/or patients don’t know to ask and then refuse to take no for an answer? Basically the check entails someone picking up a large flashlight sized, battery-operated instrument that they already have sitting right there in the room or close by, aiming it at me, pushing a button and then reading a number off a screen. It’s honestly less complicated than getting weighed! I highly recommend that patients simply demand to have it done because it’s the ONLY way to know how much radiation you’re emitting (and therefore if you’re taking adequate, insufficient, or overly cautious precautions to keep others safe). I had the technician measure me at about 4 feet away, the same distance I was measured in the hospital, and about a foot from my neck. The first (farther) reading was 0.05 (about 0.02 being background; for reference I measured at 12 just after ingesting the pill, at five 24 hours later, and at three 48 hours later when I was discharged from the hospital). At the closer distance the reading was .027. So with reassuring numbers I was told I could resume most normal “casual contact” but should continue to avoid “prolonged contact” especially close to my neck. So basically, continue to sleep in a separate room and not sit right next to the same person (or have little people sitting on my lap) for hours at a time. The less time and proximity I am with someone, the less their exposure and potential effects. 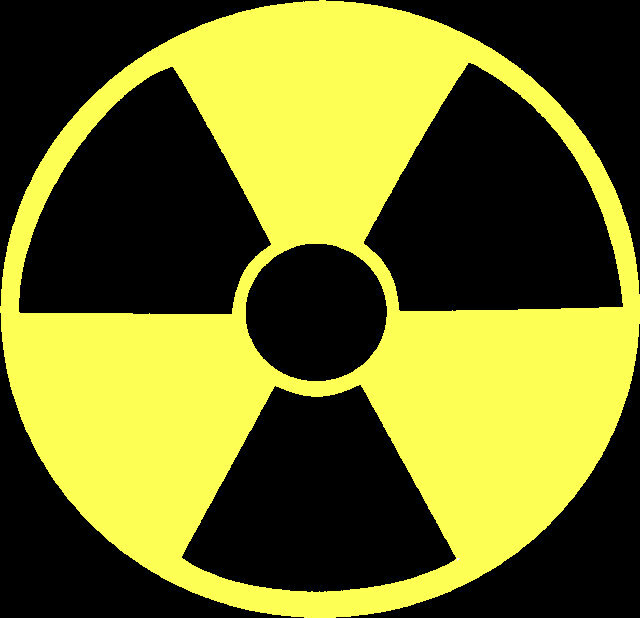 I am also less radioactive as time goes by, so each day emitting much less than the previous. In some ways this is easier said than done, especially when it comes to a 3 and 5 year old – both of whom are off of school for holiday break and so we’re all in the same house at the same time pretty much the entire day. It’s also hard that it’s still for another seven days….a llllooooonnngggg time to have to “stay away from Mommy!” ALL the time. But we’re doing our best and it is rejuvenating to at least be able to observe them from afar and participate in some activities (like hikes through our park, going to see Santa, and watching a Christmas movie from opposite sides of our family room). At this point I’ve given up expecting to feel better by Christmas….and by “Christmas” I mean that one we’ve already postponed until Dec. 31st. But at least I can confidentially say that I’ll be able to end my quarantine/precautions and get to finally experience unrestricted snuggles and hugs with the kids once again! Everything else, it seems, wants to heal at its VERY pokey pace. First, sorry for the lack of an update, I have been without a computer for several days and unable to post. But in this case, no news has not been “bad news”! My whole body scan last Tues. revealed only two additional infected lymph nodes in my neck; so that was good news. The nuclear medicine physician and my endocrinologist then discussed my radiation dosage (129 mc). Once the dosage was selected, the actual pill needed to be custom compounded at the nuclear storage facility which is located at the Portland airport. While we waited for the pill to be manufactured and transported to the hospital, I was led upstairs to my isolation room, which was covered in plastic (even the faucet handles were protected by rubber gloves). The single bright cobalt blue pill arrived in a thick lead case. I was instructed to put on gloves, ingest it with a full glass of water, and then stand on a marked spot to have my radioactivity monitored by nuclear staff. Then they left the room and I stayed sequestered for the next 48 hours without visitors….aside from the nuclear staff who came after 24 and 48 hours and stood on their “x” and me on mine to be checked for radioactivity. At this point I was (still am) extremely hypothyroid, so was feeling like I was (am) dying. I was also extremely hungry since I had been made to fast all day on Tues., only to realize when I tried to request food that the hospital was not accustomed to providing a “low iodine diet” and had VERY limited options for me (basically a fruit bowl or carrots for the next 48 hours!). “Devastation” doesn’t adequately capture my mood at this point. As far as side effects from the radiation, I woke on Wed. with acute pain in my salivary glands and ever since everything has tasted like “metal” (even water tastes like “liquid tin foil”). I had read that these effects are temporary, but can lasts weeks to a year. The hardest part has been the hypothyroidism. After being discharged from the hospital Thurs. afternoon I have been in isolation, keeping my distance from others and limiting any prolonged contact with anyone. I have a list of precautions to follow (in terms of “containing” the radioactivity to myself as much as possible) that I am advised to follow for 18 days. 48 hours after the radiation I was allowed to resume my medication but it will take several weeks to start building back up to normal levels in my bloodstream (I didn’t take the pill and then magically feel any better). I was also released from the special diet which I was SO excited about (esp. after being literally starved in the hospital)…only to find that I can barely taste anything except “metal”. But each day I creep along towards “better”, even if I don’t actually feel better yet, and look even worse (due to a lot of fluid retention in my face – I now have an unattractive “bloodhound” look). More updates as I start to emerge from hiding (in another couple weeks!). Today is my final punch in this fight. In about an hour I will be heading back to the nuclear medicine department for my whole body scan and then radiation treatment. We are all expecting some residual thyroid cells to appear on the scan, but hoping not many. 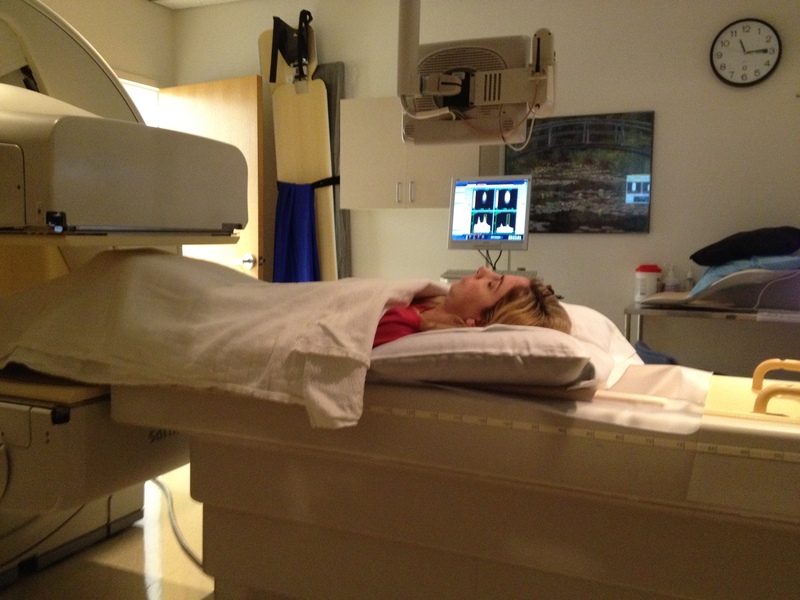 Even an “undetectable scan” is not necessarily a “cancer free” scan….though it may mean so. It could also mean that the remaining cells are too sparse to be detected by the scanner, or worse, that they did not uptake the iodine I ingested yesterday – in which case the larger dose I take today could not be effective as well. If my body is producing antibodies or the cells have mutated and are no longer capable of iodine uptake, then our major arsenal is dry. At that point there’s not much to do except continue to scan for tumors and remove them as they get large enough to do so. So fingers crossed for uptake and then ablation. On my end I’ve done all I can up until this point. I followed the low-iodine diet strictly, went off my medication, and am fasting once again. I then have protocols to follow for the first 24 hours, next 24 hours, and remainder of 2 weeks. But by far the hardest part of the day was having to say goodbye to my kids with “modified hugs” since I still can’t properly hug/kiss them because of residual pain and swelling in my neck and face from my second surgery. I told them it was “only 2 weeks” but I know they have no idea just how long that is or how eternal it’s going to feel (esp. in kindergarten time). Or in “mom time” when I’ll be “here” and yet not allowed to participate in all the activities they have planned….holiday lunches, shows, parties, lights. I’ll be missing their entire holiday break from school, when I usually take a week off and we spend each day doing the fun week day activities only accessible to stay-at-home parents. It will all have to wait another year (as most if not all of my vacation time for next year will likely be booked by medical appointments). On the bright side, just 2.5 more days until I can eat normally again! I’m REALLY hoping to avoid problems with my salivary glands, which are fairly common after the radiation therapy. I want to be able to TASTE something, something good! Keep sending those well wishes – I know they’re working so far! Not glowing just yet (I hope!). This morning I paid a visit to nuclear medicine to answer a few question and ingest six large capsules of low-doses of radioactive iodine to prepare for my Whole Body Scan tomorrow. I also have been fasting since 6:00am this morning (with just 1/2 hour more to go….but whose counting?). The “tracer” iodine will hopefully be uptaken by any remaining thyroid cells in my body, in hopes of making them barely visible on tomorrow’s scan. Based on the amount of cells visible, my treatment dose of iodine will be determined. Meanwhile my body is completely freaking out that it’s dying (and I don’t mean that in a melodramatic way, I mean ACTUALLY dying). As you may recall, thyroid stimulating hormone (TSH) is the “message” being sent out by my pituitary gland that my body is in serious trouble unless it gets some thyroid hormone to continue functioning. As measured yesterday morning, my thyroid stimulating hormone level (TSH) was 91.18 and rising; in comparison, your TSH should be in the range of 0.30 to 4.7. At this point, even though the second half of the year has been “not fun”, I’m thankful we decided to cram everything in before the new year. I’m SO ready to have all the surgeries/treatments behind me and finally be on the “upswing”. Of course, being on the “upswing” means returning to work full-time and having all the (missed) holiday activities behind me and the long, 5-month stretch of winter without any days off from work ahead of me…..so not like the “upswing” is all that enticing either! But I have resolved to appreciate my “isolation vacation” as much as I can – maybe take a few walks (not near others of course) and try my best to be patient (as well as catch-up with all my favorite foods, the best part!). Hopefully, the plan won’t back-fire on me also putting on (even more) pounds – there’s just ALWAYS a catch isn’t there???? OK so maybe I wasn’t technically “1/2 way” through my low-iodine diet / hypothyroid period, but now I’m there (or just over). Kind of how you think women are pregnant for 9 months until you go to your first pre-natal exam and they tell you it’s technically “10 months”. So technically, my “preparatory” period is “2 weeks” but then I am still off my meds and on the diet for the next 4 days after that during the “treatment period”. One thing, I’m ready to be off of it! Of course, I’ve been through harder times and eaten crazier things (with some of you of course ;)) The difference this time is that instead of being a 20-something on a wild and crazy adventure, I’m a 30-something Mom, still in my own home/surroundings, preparing daily regular meals for my husband and children, and it’s the holidays (so I can’t turn on the TV or pick-up a magazine without being bombarded with forbidden foods!) There’s no “excitement”, it’s pure denial. I’m terribly craving EVERYTHING…mostly meat and cheese, calories + fat. Something rich and creamy…pasta in a hearty sauce, a burger, a burrito filled with salty rice/beans/cheese/quac./sour cream….OMG I just drooled onto our desk! And you all know (and even tease me) that I’m a very healthy eater…..all fresh, organic, nothing deep fried, or with artificial anything or preservatives. But I do enjoy dark leafy greens (LOVE spinach), shrimp, bacon, cheese/yogurt/ice cream, and eggs; oh how I miss you old friends! When I think about not getting to eat of my own choosing until next Thurs. afternoon (at the soonest after spending the past 6 weeks recovering from surges and not tasting anything) I’m kind of disheartened. Fortunately, I have all these fun events scheduled to pass the time. Like my second post-op appt. with Dr. Facts yesterday (he did my nasal surgery). The gist of the appt. was that everything is healing as it should and I should expect to feel swelling/pressure/pain for about another month. He didn’t want to pull any undissolved stitches (saying it would be ‘very painful’…um, not going to argue with that!). The “good” news is that I can stop applying my antibiotic ointment 2-3 times a day to the incision sites and can transition back to sleeping on a single pillow (I’ve been propped up as if in a chair since my first surgery on Nov. 1st). Also, apparently my thyroid scar is unsightly; I’m basing this assessment on the reactions of his assistant and Dr. Facts himself. I hadn’t put much thought/opinion into the scar…part of me thought it would be kind of cool, like a battle scar. But I can see that “coolness” kind of wearing off, esp. since it’s so visible. All I had asked of Dr. McPreppy (my thyroid surgeon) was for a “nice closure” and he used plastic surgery techniques (no stitches). But it’s still a bright, thick, pink line (brighter and thicker than I was expecting, but nothing I was going to complain about). Almost immediately upon laying eyes on me, Dr. Fact’s assistant was eagerly explaining that he could “help fix that”, which of course, had nothing to do at all with why I was there or anything his Dr. or even hospital had done. But whose going to argue with specialists in beauty? So I left with a stack of “magic lotion packets” which he claims actually cause the scar tissue to die, slough-off, and be replaced with brand new baby skin (which is smooth and perfectly blended to my skin tone). Just have to apply it according to his specific instructions 1-2 times a day and cover with lotion (and avoid sun exposure….which is SO hard in the PNW in Dec). So what happens next: this Sun. I will be going for a blood draw to check my T4 and TSH (Thyroid Stimulating Hormone, as you recall) levels to make sure I’m fit for treatment. I then return to the hospital Mon. morning for a quick exam and to receive a “scan dose” of radioactive iodine…just enough to be able to detect how much iodine my body will uptake. I am then sent home to wait until Tues morning when it’s back to the hospital for my 1-hour long Whole Body Scan (WBS) – which should reveal how much tissue picked up the scan dose of iodine I was given on Mon. and where it is (basically, where and how much cancer is leftover from the surgery). After receiving the scan, I’ll need to hang around for about an hour while my Dr. and the nuclear medicine department discuss how much radiation to give me. Then I’m taken down to the “ward”, ingest the pill, and then wait another 2 hours before I can eat or drink (mind you I’ll be fasting both Mon. and Tues. mornings as well). I’ll then be checked-in to the hospital and continue on the low-iodine diet / off meds for the next 48 hours….which brings us to approximately Thurs. afternoon; which is when I expect to be discharged. Once discharged I can start taking my medication and I’m cleared from the diet, but will need to be isolated from others and following specific “radiation protocols” for the next two weeks. To help get through all this, we’ve picked Dec. 30th (which will be our “Christmas Day”) as my “all better for now” day. So [only] three more weeks to go! While I appreciate all the sentiments to “have a speedy recovery” and “get well soon!”, unfortunately, the time-table is set…and the process is slow and long. I can’t make it go any faster (believe me, I would love to). But I would love to “have a clean scan!” or “be Cancer free!” – so if you don’t mind, I’d love it if you all can channel those good vibes in that direction. For now, it’s time to make my low-iodine lunch….and something tells me it’s something I’ve had recently!